Imagine a scenario in which two widely known and well respected ministerial leaders have a serious conflict over which associate to hire, so serious in fact that they end their professional association and go their separate ways. Each then hires his own associate and they never work together again. Imagining such a story hardly stretches one’s creativity. It reads exactly like the petty conflicts that rupture ministries and make for sad headlines in the modern Christian press. However, that particular story of ministerial conflict is NOT modern. Two thousand years ago, Paul the Apostle and his sponsor and mentor, Barnabas, differed on whether to take John Mark with them on their second missionary journey. Both Paul and Barnabas had seen John Mark’s pitiful failure on a previous journey. The young man had left the team in the lurch and gone home. Barnabas, the aptly-named encourager, wanted to scoop the youngster up off the sidewalk and give him a chance to redeem himself. Paul, however, was a type A choleric with NEVER GIVE AN INCH tattooed on his bicep. Paul maintained that mollycoddling quitters was no way to do the dangerous and demanding work of first-century church building. Barnabas insisted that giving up on talented and anointed young people because of a failure was no way to do the difficult task of believer building. The conflict was beyond resolving and what had been designed as one mission team became two. Paul hired Silas and formed his own missionary team. Barnabas elected to “mollycoddle” John Mark. Great leaders can have insurmountable differences of opinion and viewpoint. Both may still be great. Both may even be “right,” and for that matter, both may be “wrong.” The story of Paul and Barnabas is more than a cautionary tale about church squabbles. It affords some important insights. First, in some conflicts there may not even BE a right and wrong. Neither Paul nor Barnabas was wrong. They had differing goals. Paul was focused on the sacred importance of the mission, while Barnabas was unwilling to leave a wounded warrior behind. Both were valid and important points of view, but both could not be the presiding value in the selection of a lieutenant. Second, not every conflict will be resolved or even needs to be resolved at all. Sometimes there is no resolution. Two teams rather than one may be the correct answer. Having said that, the separation must be accomplished ethically. Paul did nothing to harm Barnabas. Every associate pastor has the right to leave. However, he cannot walk off with the money or the members and he cannot roll a hand-grenade in the door as he exits. Finally, the long run view may reveal where in the conflict each party was “righter” or “wronger” than he knew at the time. When Paul and Silas separated, Paul, who had been Barnabas’ understudy, jumped to the head of the leadership queue. 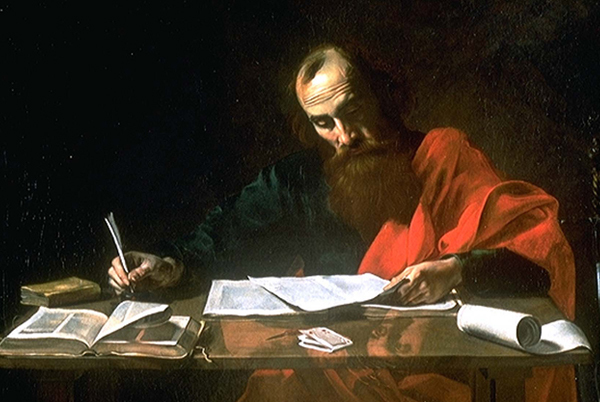 From that moment, Paul, not Barnabas or even Peter himself, became the preeminent luminary of the New Testament church. That Paul’s ascendency was undoubtedly God’s will, hardly makes Barnabas wrong about John Mark. Were it not for Barnabas’ restoration of John Mark we might not have the Gospel of Mark. 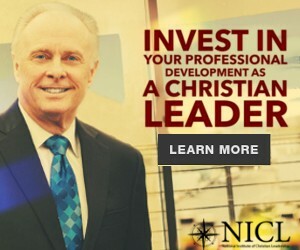 Likewise, but for Paul’s somewhat uncompromising talent development program, the New Testament might not include the names of Silas and Timothy. We do, however, have the New Testament in which Paul subsequently wrote of John Mark, ” I find him useful.” One cannot help but wonder if that statement brought a wry smile to Barnabas’ lips. NOW you find him useful, now that I’ve cleaned him up and healed him after you rejected him. Sure. NOW you find him useful. As long as there are humans, even sanctified apostolic humans in church leadership, there will be conflict. God’s grace, His calling and His destiny is unique in each of us. Conflict is not always bad and it is not always resolvable. Yet it must be handled with grace and love. Not long before he died, I asked Jamie Buckingham if he had some great truth to share with me. I will never forget what he said.